Arsenal, Inc., the premier American importer and manufacturer of semi-auto rifles, is proud to offer to American shooters the new addition to the SAM7 family the SAM7UF rifle. This 7.62x39 caliber rifle combines authentic, high-quality features expected in the SAM7 Family. From its reinforced under-folding buttstock to its 14x1mm left hand muzzle threads with muzzle nut, every component of the SAM7UF is engineered to provide decades of dependable and accurate service. 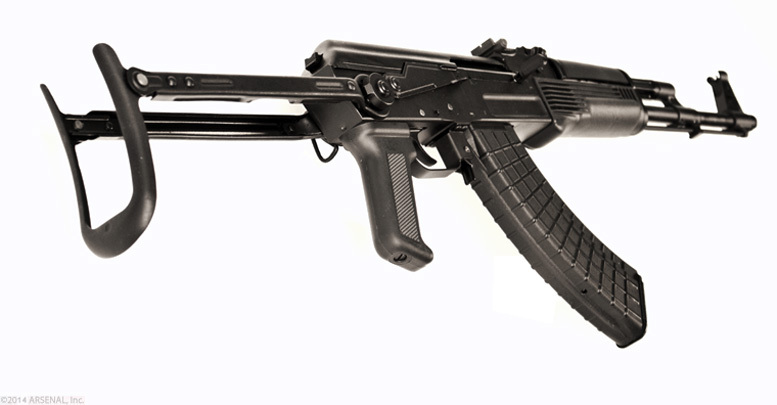 The SAM7UF rifle is bound to become a sought-after and collectible firearm. The SAM7UF utilizes the modern straight-back under-folding stock, which locks perpendicular to the action and the bore of the rifle. In order to provide a more secure and firm lock, whether in a folded or extended position, this stock locks on both sides of the receiver with 4 solid pins. The reinforced, straight-back folding stock stabilizes the rifle which significantly reduces the climb and gives the shooter much firmer control over the firearm for improved accuracy and effectiveness. These are major improvements over its predecessor, the tilt-down stock, and this rifle will surely exceed it. Each SAM7UF receiver is milled from a hot-die hammer forged receiver blank by Arsenal, Bulgaria. 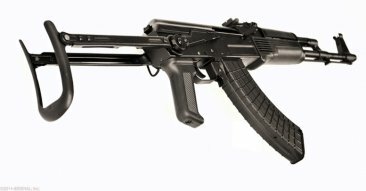 Other milled-receiver AKs are machined from bar stock, but Arsenal's hot-die hammer forging produces stronger and finer-grained steel. Internal voids and cooling deformations are eliminated by the 5-ton hammer forging process. Each forged receiver blank requires over 5.5 hours of milling before assembly. This forging and milling process is complex and time-intensive, but Arsenals meticulous attention to detail delivers a receiver of unequaled strength, precision, and durability. 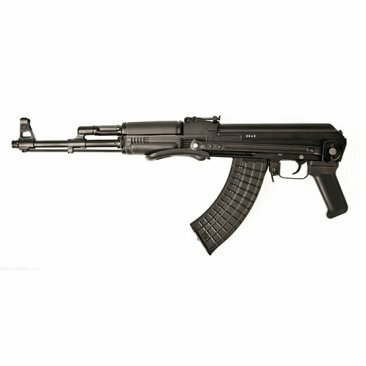 SAM7UF-85 | SAM7UF model 7.62x39mm caliber rifle, milled and forged receiver, chrome lined hammer forged barrel, 14x1mm muzzle left-hand threads, muzzle nut, bayonet / accessory lug, reinforced under-folding buttstock, black polymer pistol grip and handguards, stainless steel heat shield, cleaning rod, one 10-round magazine (accepts any mil. spec. magazine), sling, oil bottle, and cleaning kit.